Planning a Food Holiday in France this summer? 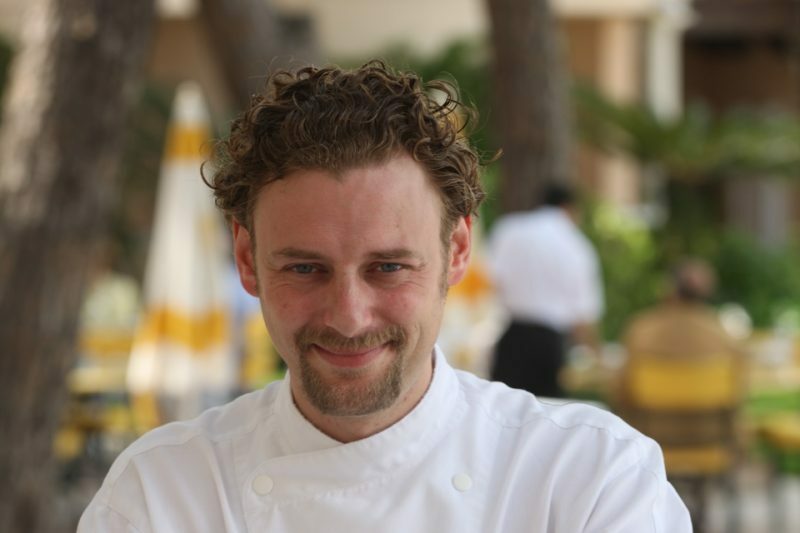 Tootlafrance has a look at some of the new faces (such as Arnaud Donckele pictured here) in the Michelin-starred crowd. The eagerly-awaited Michelin Guide to food and hotels comes out on March 1st, as it does every year. Although one must normally wait until the end of February for the official Michelin press conference to find out who is on it and how many stars they got, information leaks have become more frequent in recent years. Michelin management have, therefore, wisely decided to bring the list out into the public domain some weeks beforehand, offering a sneak preview of some of the places that will be well worth checking out or maybe even booking in for dinner for an unforgettable dining experience before the summer rush. Tootlafrance takes a look at some of the newly-promoted restaurants in France in the soon-to-be-released 2013 edition, where the most notable tendency is towards regionally-located restaurants with strongly-rooted traditional cuisine that’s open to the world. Arnaud Donckele, of La Vague d’Or, Résidence de la Pinède, Saint-Tropez. Conte’s restaurant on the shores of shores of Lake Annecy takes the brave step of naming his restaurant simply “Elève de Marc Veyrat” (student of Marc Veyrat) in the same spot where Veyrat forged his superb reputation. Conte leaves himself wide open to comparison with Veyrat, as well as running the risk of always being in his shadow. Yet since 2010, Conte has audaciously managed to honour the tradition of his erstwhile master while still imposing his own style. Nicolas Sale, La Table du Kilmandjaro, Courchevel. With his partner Glenn Viel, Sale has worked his way through some of the best kitchens in France, from Senderens (under Bertrand Guéneron), the George V in Paris (under Philippe Legendre) and the Meurice in Paris. The location alone in the posh ski resort of Courchevel will get you salivating. William Frachot, Le Chapeau Rouge, Dijon. Sylvain Guillemot, Auberge du Pont d’Acigné, Noyal-sur-Vilaine. Just west of Rennes, the second star had been hovering above Guillemot’s head for some years. Now he’s finally got it, thanks to an enlightened regional cuisine, including Lobster Maki with Broth and Foie Gras ravioli with Thai Lemongrass. Alexandre Couillon, La Marine, île de Noirmoutier. Critics have long been urging the Michelin people to reward Couillon with a second star for his well-loved restaurant on Noirmoutier Island (connected to the mainland via a bridge). A typical Breton façade facing a working Atlantic port and marina of island-life rhythms gives way to a surprisingly groovy interior. The cuisine is similarly appealing and surprising.